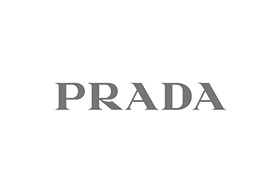 Prada is an icon in the world of luxury fashion and the brand continues to unveil some of the most stunning and creative designs the world has ever seen. There is little doubt that today it stands as an intriguing, inspirational brand that many budding designers emulate. The Milanese label has pushed the boundaries of creativity and solidified its position as one of the most influential forces in fashion, defining not just hyper-luxury but also a lifestyle of class, sophistication and elegance. Prada at Chadstone is referred to as the 3D Prada store as it holds three lines: leather goods, ready to wear apparel and shoes. The store's walls are painted in signature mint green, and offer a luxurious, inviting feel befitting the iconic brand. The store is located in the ground level of the luxury precinct within walking distance from the car park A. The brand is known for its 'made-to-order' and 'made-to-measure' events that offer fans a chance to own customised Prada clothes, shoes and bags. Prada shoes are known for their elegance and superior craftsmanship. They're available in a number of colours, patterns and styles, each boasting its own distinctive, high-end appeal. The store also retails Prada wallets, coin purses, totes and small accessories crafted from fine-quality leather. The Chadstone store has scores of offerings that span ready to wear collections, shoes, bags, sunglasses, perfumes and accessories, for both men and women.